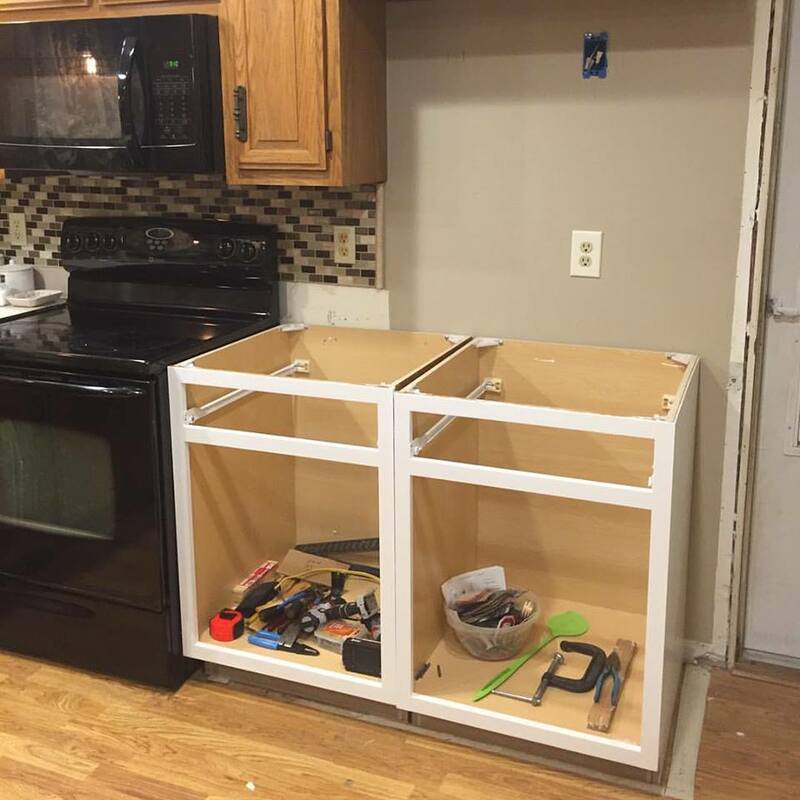 Ordered the new cabinets on Black Friday. Prep being done to paint them white. 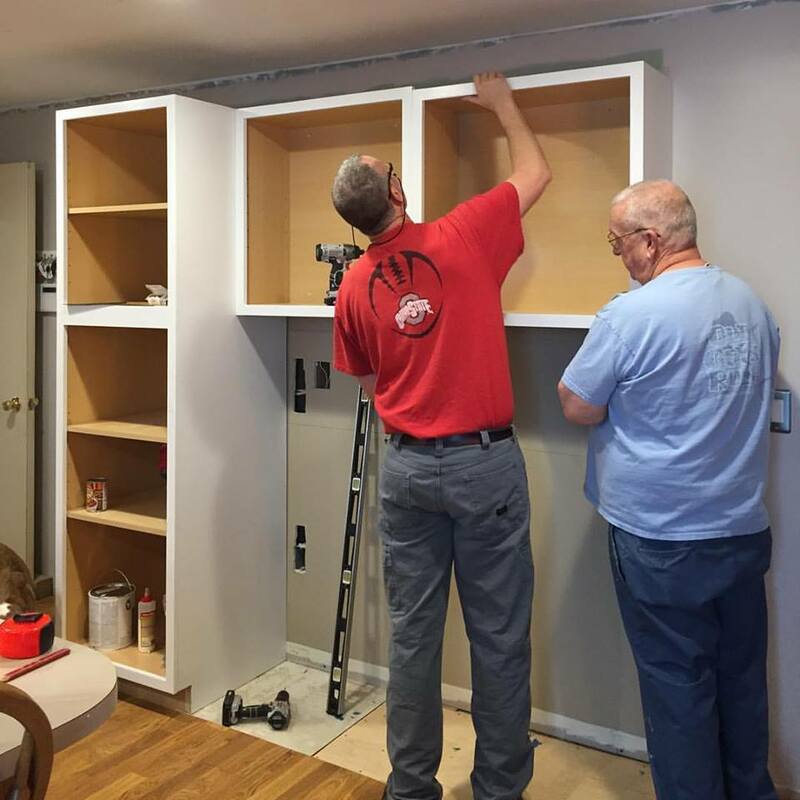 Phase 1 was adding the set of cabinets (and my pantry!!!) on the empty wall. 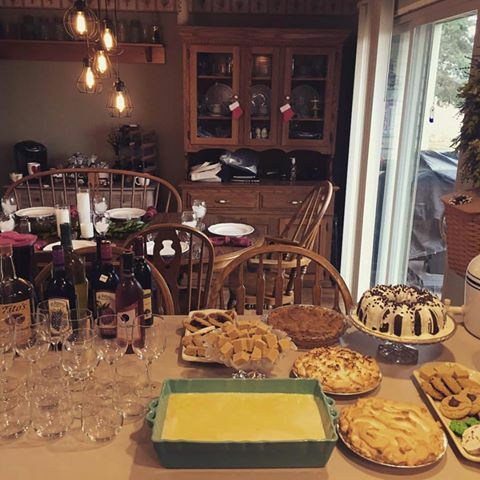 Bill and his dad worked fast and they were done for Christmas dinner. In this picture you can see my new light that Bill installed over the dinning room table. 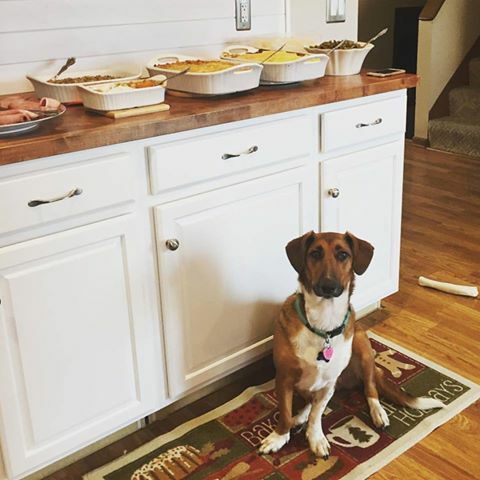 Here is Christmas dinner and my grandpuppy Paisley in front of the installed cabinets. In Phase 2 our refrigerator has been moved and 2 new cabinets put in it's old spot. We also had to cut down the bar counter top to fit the refrigerator in it's new spot. You can also see we have removed old lights in the kitchen and added our new recessed lighting. In phase 3 the bar will be removed. 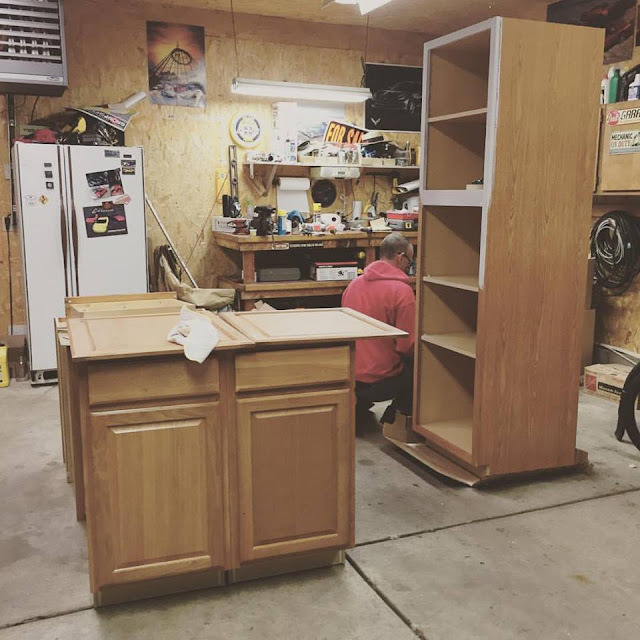 Here are my 2 new cabinets that replaced a small cabinet and the refrigerator. Bill is working on my butcher block counter top for this section then we will be moving on to phase 3!!! 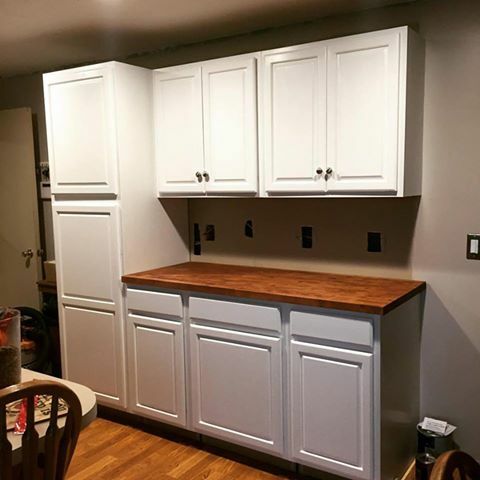 First off, great choices and good color picks for your kitchen remodel! I made a huge mistake once and chose the wrong colors for my kitchen. I didn't realize until it was all finished, and boy did I regret that! I hope the butcher block fits nicely, and I bet the overall finished product will look great!